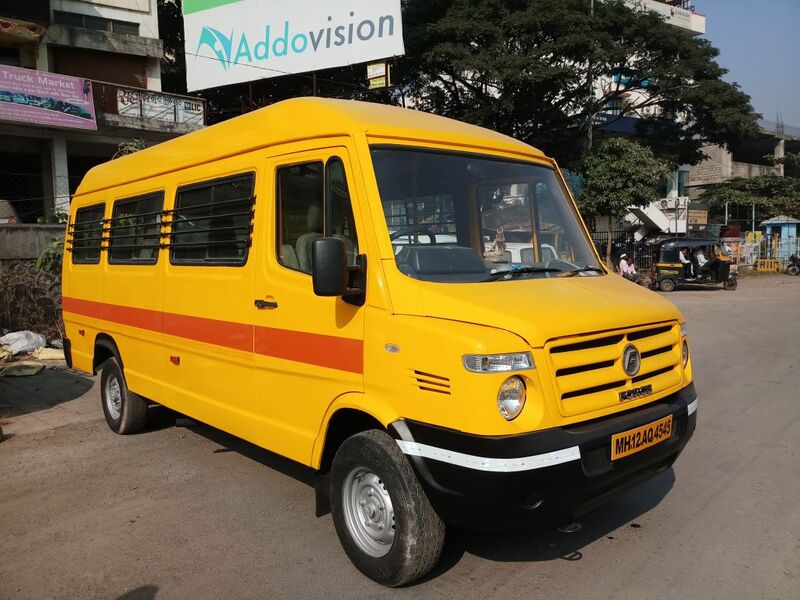 Force Motors Tempo Traveller Seating Capacity : 17Seats Model-2012 Price- 6,25,000/- All document clear upto 2018 ; All school norms followed ;Proper well maintained school bus. New tyres. We are the dealers in sell and buy of all types of Tata,Force,Eicher,Mazda,Ashok Leyland, Company Branded From 13 To 50 Seaters Buses.AC non AC ,Company , Luxury Body And Sleeper Coach. For More Details Contact Us On Below Address-: BusTruck Market Pune Maharashtra.